I heard it through the grapevine. Historic Downtown Napa is back on the map! Once a bustling economic hub and Gold Rush staging location, this landmark of the Napa Valley, until recently, was overlooked for years by leisurists and wine enthusiasts heading a little farther north to dressier Valley scenes. Now, after a revitalization and renaissance of the downtown waterfront, art and food scenes, this charming town with numerous restored buildings exudes a fresh urban vibe with much to see, do and taste! There are reasons-aplenty to slam on the brakes for a stay in Napa proper. There’s no better place than the Downtown area for the best in accommodations. For any style of traveler, you can’t go wrong with a room at either the Westin Verasa or the River Terrace Inn; or for some historic luxury, try the Napa River Inn – the only three-starred downtown hotel, ideally situated in the Historic Napa Mill. The Westin Verasa, a full-service, upscale hotel is just blocks away from main attractions such as the Oxbow Public Market and the Napa Valley Wine Train. Spacious, vineyard-chic, and detailed with historic architectural influences, this property delights the senses with natural beauty, elegance and signature services for mind and body (westinnapa.com). Also steps away from downtown attractions, The River Terrace Inn – a boutique hotel – embodies a charming, refined California-rustic style with richly decorated rooms and tranquil breezes from river-viewing balconies (riverterraceinn.com). The aforementioned Napa River Inn, combines yesterday and today to house a mix of “high style and warmth.” A member of the prestigious Historic Hotels of America, the NRI serves up some of the best food around, along with features such as river views, fireplaces, slipper-backed tubs, and turn-of-the-century décor (napariverinn.com). With 14 Michelin stars for 2011, more than any other wine region in the world, per capita, you could say that Napa knows its food. For a day’s worth of food, here’s what we suggest. Get your engine started in the morning with the “world’s best English muffin” (according to celebrity chef Michael Chiarello) at The Model Bakery (themoelbakery.com) located inside the Oxbow Public Market – a food lover’s mecca complete with restaurants, artisan foods, wines and more (oxbowpublicmarket.com). For lunch, and in between shopping, sight-seeing and wine tasting, stop into Oenotri, an Italian restaurant with a daily changing menu based on what is local, fresh and in season. Order one of their authentic Naples-style pizzas of the day with some fresh greens (oenotri.com). At the golden hour, happy hour that is, saunter inside Carpe Diem on Second Street for great wines and bites at bottom-of-the-barrel prices. 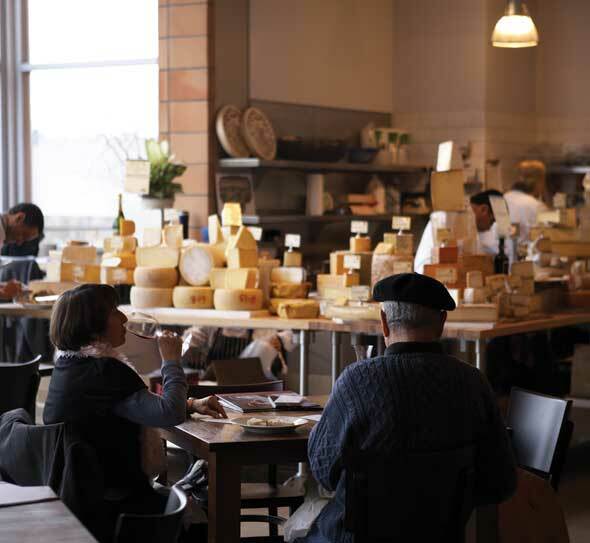 Snack on their truffled popcorn or select from their large artisan cheese and charcuterie menu (carpediemwinebar.com). For dinner, there is a bounty of options, but if you’re seeking something truly special, choosing Cuvée adjacent to River Terrace Inn (cuveenapa.com), La Toque (renowned Chef Ken Frank; latoque.com) at the Westin Verasa, or Ubuntu (out-of-this-world vegetarian menu; ubuntunapa.com) on Main Street will get you amazingly crafted cuisine. Beyond the world-class dining, there is oh so much more. 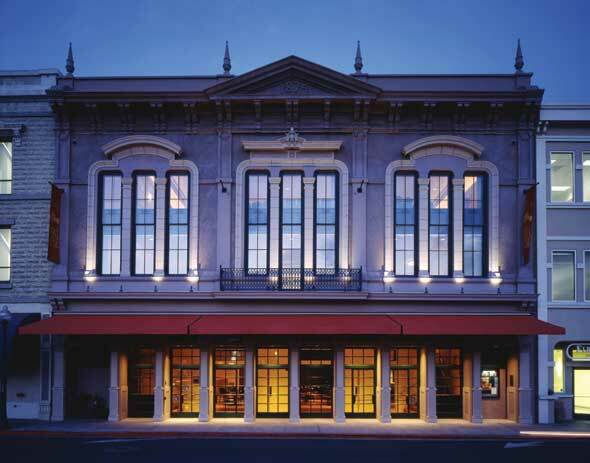 Enjoy all the charm and history of the city via an entertaining, walking tour led by local historian, actor and wine expert George Webber of Napa Walking Tours (napawalkingtour.com). For lovers of the arts: view original art at the city’s “ART on F1RST” exhibit on First Street (napaartonfirst.com); take in a performance at the 130-year-old Napa Valley Opera House, which attracts more than 35,000 people a year (nvoh.org); as well, catch a live show at the Uptown Theatre, a “stunningly-restored art deco masterpiece” showcasing only the best acts, including upcoming performances by Kenny Loggins and Chicago (uptowntheatrenapa.com). For the adventurist, find a scenic retreat via a cruise of the river with Napa River Adventures (napariveradventures.com); or take your sights a little higher for a bird’s-eye view of the valley in a hot air balloon with Napa Valley Balloons, touring since 1980 (napavalleyballoons.com). No matter what time of year, the new Downtown Napa is a playground awaiting you.